Oh I love Bolivia. I think it is the people that just seem to draw me in. They are very poor, but always have a warm smile on their face. There is lots to do in Bolivia. The Salt planes of Uyuni, Mines of Potosi and the Amazon Jungle. The Witches Market of La Paz is not to be missed either. There are a number of good hostels throughout the country with the most popular in La Paz being the LOKI. If you want to get in here make sure to book 2-3 weeks before hand, or you wont get in. There is plenty of ATMs for getting money and resturants, entertainment etc. Bolivia is easy to travel around even though the roads are rough. This does make the bus trips a little hectic but really this is the only way to travel. Buses go at night to all major destinations, from all big tourist cities and towns. 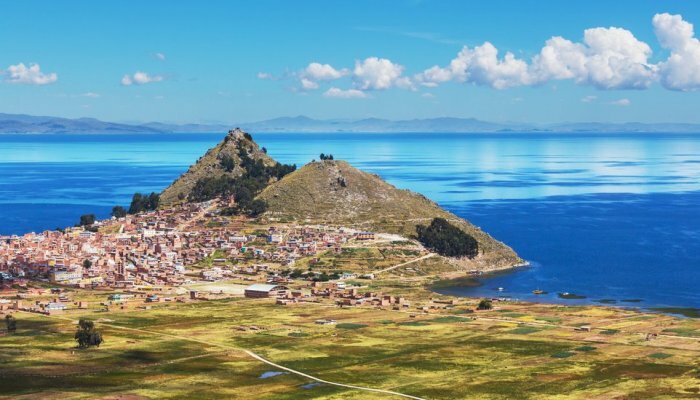 Lets not forget that all important place, Lake Titicaca. A visit to Copacabana is a must and from here you can do isla de la luna on a day trip of stay overnight with a family that lives on this island. From La Paz you can do a day trip to the ancient ruins of Tiahunaco. 1) Do the famous mountain bike ride down the Worlds Most Dangerous Road. It is for all experience levels and they will wait for you if you are a slower rider. It is loads of fun with some great scenery on the way. It is an all-day ride. 2) If you are game, go do the prison visit in La Paz. It does cost but is worth doing and go in a group. 3) La Paz is one of those places you shouldnt get drunk and walk back to your hotel or hostel. Get a taxi, lets face it, it is one of the cheapest countries in the world that you will visit so a taxi fare isnt going to break the bank. 4) Shop in the witches market. There are some absolute bargains to be had and the varity of things is amazing. Even travel bags if you need one. The clothing fashion and shoes of all brands will astound you! 5) If you are travelling by yourself and need a taxi always put your backpack in the back seat with you. Pay the driver at his window after you have got yourself and backpack out of the car. My lovely Canadian friend Mike put his in the boot and paid the driver, got out, and on getting to the boot of the car the taxi then drove off. All he had left was what he was standing in. 6) Do the Salt Plains of Uyuni. You will get some amazing photos. Wear sunglasses as the glare is blinding. I only did the day trip as many people say the 3 days is just the same thing each day with lots of time spent sitting in the vehicle. This is entirely up to the individual. Remember the salt plains are 12.000km sq. 7) Dont miss the Potosi silver mines. Not such a good idea if you are very claustiphobic as you go approx. 1km down in a lift. 9) The main airline to go in and out of La Paz is TACA. I have flown them several times while in South America and find them to be up there with other top airlines in the world. They are good and you can do your booking online. 10) Dont rush Bolivia!! Its to nice a country to be rushed and the cheapest place you will find to learn spanish. Go for it!